The BMX range is designed to help children develop their cycling skills further once they have mastered the basics. 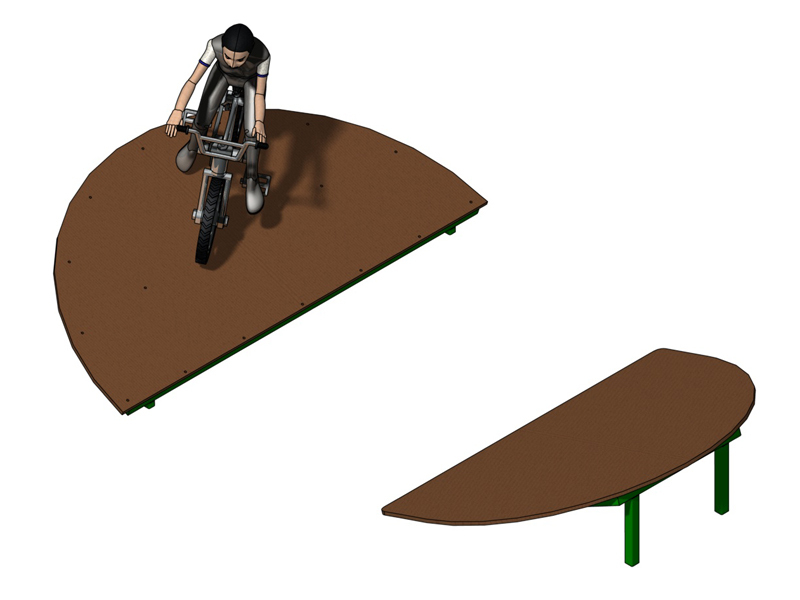 Combined with other items from the range, you can create your very own bike park! The Half Moon Rising is a good way of enabling children to maintain balance and coordination while travelling on a sloped surface rather than on the flat. Categories: BMX Trails, Traditional Play Equipment.